Austin, Indiana – In recent developments, a widespread panic seems to have gripped Austin, Indiana as the number of HIV infected patients witness a sudden surge. From 26 cases recorded in the beginning of March, the number has almost tripled (72) by Friday. Improper intravenous drug administration in the city has been blamed for the surge. 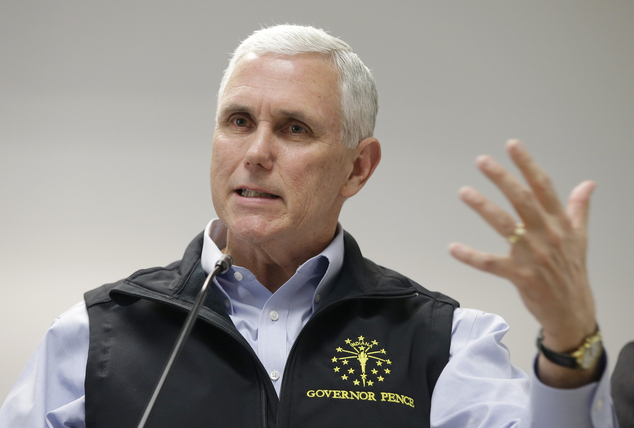 Governor Mike Pence declared a health emergency. The Governor also announced that the state would undergo a short term needle-exchange program to control the rapid increase in the number of HIV cases. The situation was declared “epidemic” and the needle-exchange program would last for another 30 days. The sole purpose of this decision was to “stop the disease” and this decision should not be seen as an “anti-drug policy”. HIV is still a hard-to-cure disease and has been responsible for the deaths of many in the present generation. It weakens the human immune system, making people very prone to diseases. Even the simplest of diseases such as cold can cause death. According to William Cooke, improper needle disposal was the prime reason behind this rapid surge of HIV cases. As intravenous drug users continued to use the same needle many times, it was only “a matter of time” before the outbreak would take place and was fairly “evident”. Cooke runs the only doctor’s office in the city. Earlier on Monday, investigators were sent to Austin from the Centers for Disease Control and Prevention to check and determine the cause of the outbreak. They were also sent to determine if the virus was a new strain. The investigators agreed with Cooke’s assessment of the outbreak. Pam Pontones, an epidemiologist from CDC told the Associated Press that drug use was a prime reason. However, some of the community of epidemiologist do not support the governor’s decision. Dr Kevin Burke, Public Health Officer of Clark County says that the 30 day program would be “too short to act” and will not help the people in the “long term”.